It had me wondering: Can I use fish sauce in, say, a cold beverage? It’s common to add Worcestershire sauce to a Bloody Mary, so what’s the logical next step? So I tried adding a few drops of fish sauce into Clamato, the tomato juice drink that counts clam broth as an ingredient, and basis of the much-loved Canadian cocktail the Bloody Caesar. A little bit of fish sauce here works splendidly—you’re essentially amplifying the zestiness of the drink. 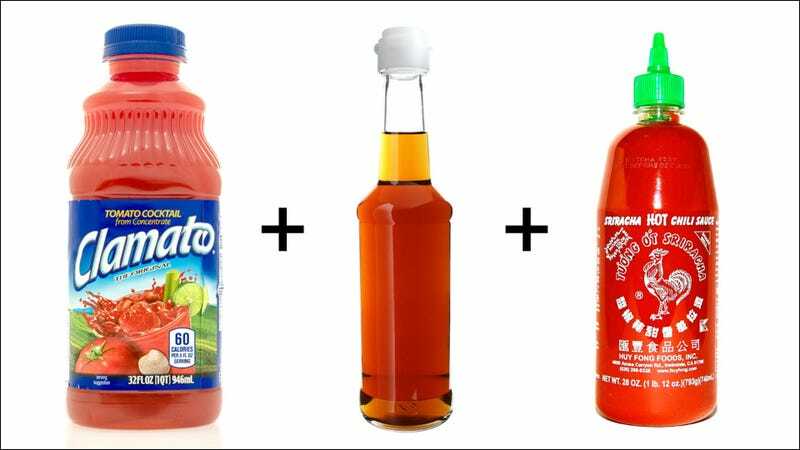 Then it only made sense to push forward the Southeast Asian narrative with a squirt of Sriracha, and if you desire, a shot of vodka. Boom: The Asian Bloody Caesar. This recipe is not for everyone. But if you’re a card-carrying member of the umami army, you should be at full attention.